In 2016, along with other leading architects, designers and taste makers, I was asked to add creativity and style to a Schwinn bicycle which benefited the Los Angeles Ronald McDonald House. I was honored to participate in a great cause that helped the LARMH's mission of providing comfort, care and support to caregivers of seriously ill children. I had never imagined customizing a one-of-a-kind bicycle, but the process has led me to the present moment. After I meticulously studied the anatomy of a bicycle, I realized that I had a lot in common with the two-wheeled vehicle that is in movement in the most creative and positive ways: it cleverly navigates throughout the city without adding pollution and avoids the delays of traffic, resulting in good health to the human body and mind. My day-to-day life is constantly in movement, and as I maneuver myself, I make every effort to live every part of my life in the healthiest ways possible. Hence, my curiosity to design my own bicycle was born. 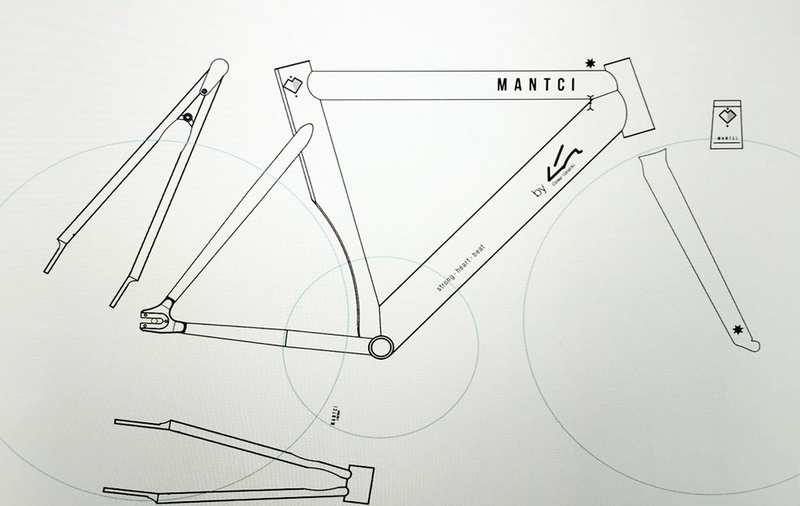 This year, I teamed up with MANTCI, an exciting new line of custom made bicycles based in Melbourne; this is the result of my artistic collaboration which will soon be in movement, and I am grateful to be donating my first design to the George Lopez Foundation to positively impact another important cause. MANTCI was conceived in Melbourne, Australia. Since the beginning, our objective has been to develop a product that reinforces our belief in bicycles as the alternative mode of transportation while positively impacting the environment, and reflecting our passion for good design and the power of simplicity.